By Victoria Pinheiro, Nereus Program Strategic Communications Lead, original story published here. Nereus Program Policy Director Yoshi Ota, and Swinomish tribal elder Larry Campbell converse during a Fish and Future breakout session. Photo Credit: Colby K. Neal. 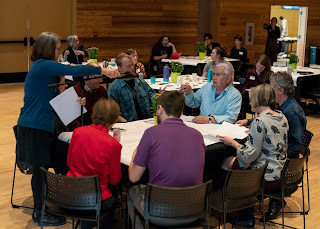 The format of the gathering was innovated to inspire and generate creative thinking about what needs to be done. 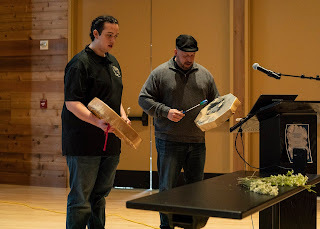 Academic talks and presentations were interspersed with a film screening of Colby K. Neal’s Broken Fish and an interactive reading from The Last Best Place, a play about salmon, people, and habitat by Dr. Sara Jo Breslow. 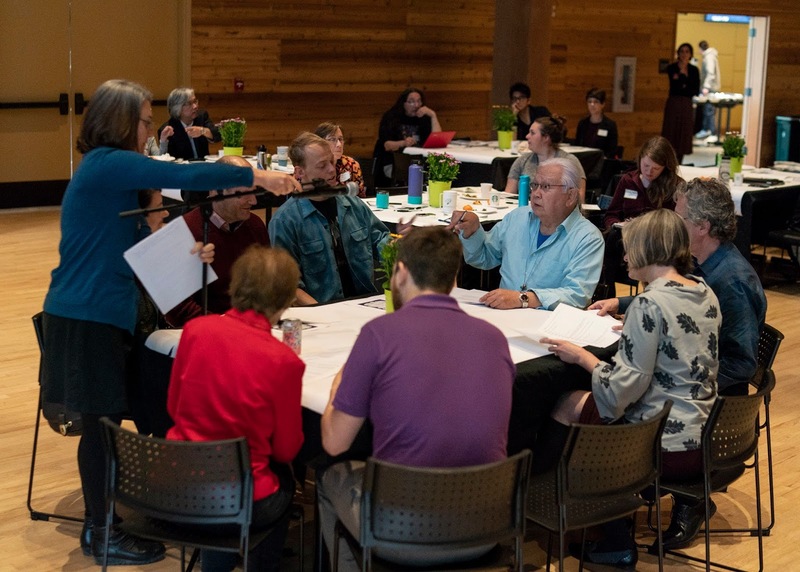 Breslow’s play arranges the words of tribal members, farmers and scientists taken down during anthropological interviews to tell the story of the human-salmon ecosystem in the Pacific Northwest. She gathered eleven members of the audience around a table and handed them each a script. “But there are days when I wonder, if all what they really want, is control over what you do? Or do they really want to save fish?… And you know, you might not understand this, but my family’s been here for 110 years. That’s a long time. This land is my heritage and I intend to pass it on to my grandchildren,” read one participant, speaking the words of a farmer frustrated by restoration regulations. 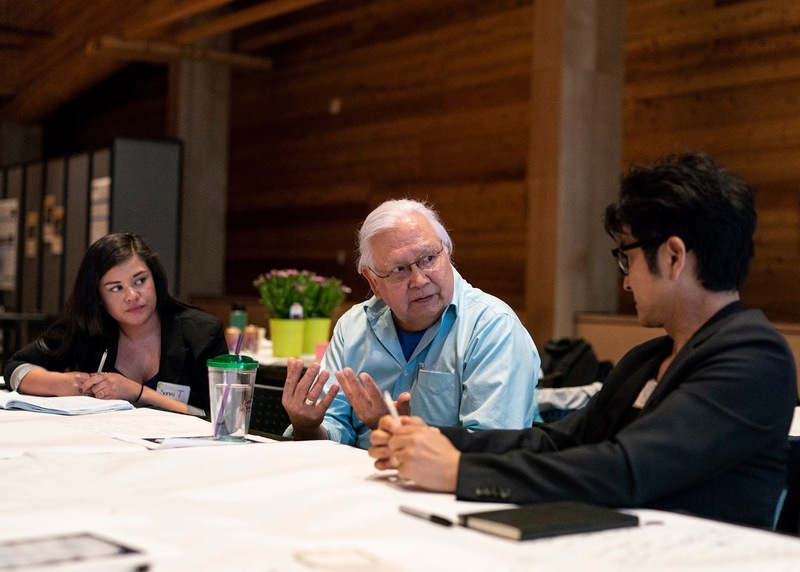 “It staggers me that someone could say that to, say, members of an Indian tribe,” replied another participant, speaking the words of a tribal staff person. “That, you know, to – to whom one hundred and ten years is not even a blink of an eye.” Participants were able to experience the perspective of the character they played, regardless of how different it was from their own, and speak the words of another human with feeling and empathy.